This is our site in Thorndon. 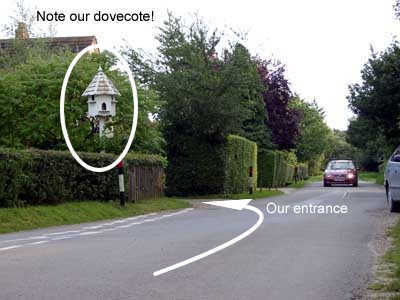 Everyone recognises it by the dovecote. We are in the middle of the map on the extreme left-hand margin).